There is a lot of fear and anxiety around the thought of the dentist. Growing up your whole life there has been a stigma that the dentist’s office is a painful and scary place to go. It seems like everyone you talk to has some sort of painful experience associated with the dentist. In addition to personal stories, there have been books and movies portraying the dentist as a very scary place to be. Dental anxiety is something that affects all sorts of people no matter their age, gender, or ethnicity. Dental anxiety is probably a lot more common than you would think. 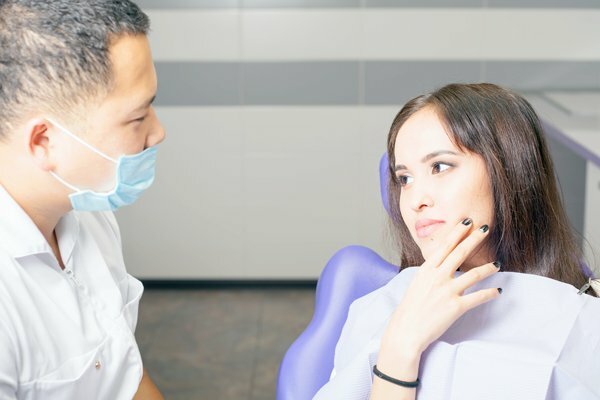 With 75% of patients having some fear associated with going to the dentist, it’s no wonder it is consistently being put to the back of your to do list. With the right information and tools, you are able to greatly reduce the stress associated with these very important appointments. Kids in particular have a hard time going to the dentist for several reasons. These include being in an unfamiliar environment, being separated from their parents, and fearing the pain associated with regular checkups. In preparing your child to going to the dentist, you could take him or her in to the office in advance and give them a chance to familiarize themselves and know where everything is. Most anxiety comes from not knowing exactly what your appointment is going to entail. This way they have a little more control over the situation if they know where they will be going. If you are able, letting your child know where you will be while they are having their appointment can also ease stress. Children rely on their parents to make them feel better when they are in pain and a child not having their parent with them during an appointment can be very difficult. If they know they can come get you if they are feeling too stressed out then they might not be so scared leaving you. 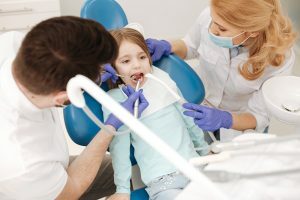 It is becoming more and more common to bring your child in to see a dentist at a very early age just to get them accustomed to it and get them into a regular routine to ease the stressful stigma set around checkups. It is said that one in four children will develop a cavity by the time they are four which makes it that much more important to keep up with the recommended checkup. Most kids have heard some sort of horror story associated with going to the dentist. Talking about the appointment beforehand and going over the procedure can help ease some stress and let them know what to expect once he or she gets there. There are many educational children’s books that portray the dentist as a positive fun experience along with cartoons and songs. Role playing is another fun and inexpensive tool used to ease dental anxiety. By being prepared before you even get to the clinic, your child’s dentist experience can be a very pleasant one which will help them throughout their lives when they have to go to appointments even as adults. Not only do children have a hard time with the dentist but so do adults. Along with all the ways children can ease their anxiety, adults can do that same and more. Many adults haven’t seen a dentist in years due to the fear of having a painful and scary experience. The good news is, there are many ways of managing your dental anxiety. A good rule of thumb is to plan on having a regular checkup every six months to make sure a small cavity doesn’t end up being a costly and painful root canal. Even though this is a fairly common known fact, recent studies have shown at least a third of Americans don’t go to the dentist within a year’s worth of time. By putting off your regular checkups you are just putting yourself at risk of having to have a much more extensive and costly appointment then just your regular checkup and cleaning which can raise your anxiety levels. With so many varieties of dentistry, you can shop around and find the one that best fits your needs. By meeting with a couple dentists before setting up an appointment, you can almost instantly know if their office will be a good fit for you. To help ease your anxiety, pick an office that you feel comfortable with. Being comfortable with an office can mean finding one with a convenient location, office environment, and office staff. By talking to the dentists before setting up an appointment you can find out if your personalities are compatible which can ease major stresses. If you feel comfortable with someone you tend to let your guard down and aren’t as tense. Making a playlist of calming music to take with you. Many clinics will let you listen to your own music with headphones. Focus on keeping your breathing slow and steady during your procedure. 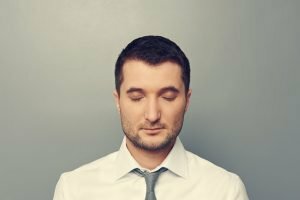 This will help you feel less tense and calmer. Use hand signals that you have set with your provider. If you are feeling overwhelmed you can use these so he/she knows if you need to take a break. Try not to eat or drink any foods that will make you uncomfortable such as caffeinated drinks or sugary/spicy foods. Ask to be prescribed a sedative to take beforehand or laughing gas during your appointment.